Crystallography has produced one of the largest numbers of both Nobel Prizes and Laureates in any branch of science. Part of this may be attributed to the impact this field has on the creation or understanding of compounds. Understanding the make-up of compounds, which are made up of a crystalline solid material and have molecules that are arranged in an ordered structure, is an essential step for researchers working in many areas, including drug discovery. To conduct these tests, there are three state-of-the-art CCD-based single crystal diffractometers within the MSF. Each instrument works by using a beam of x-ray light that reflects throughout a crystal that is a 10th of a millimeter, or the width of a single human hair. The facility also houses a powder diffractometer, which can provide efficient means to verify the chemical phases of materials or confirm results from one of the single crystal diffractometers. 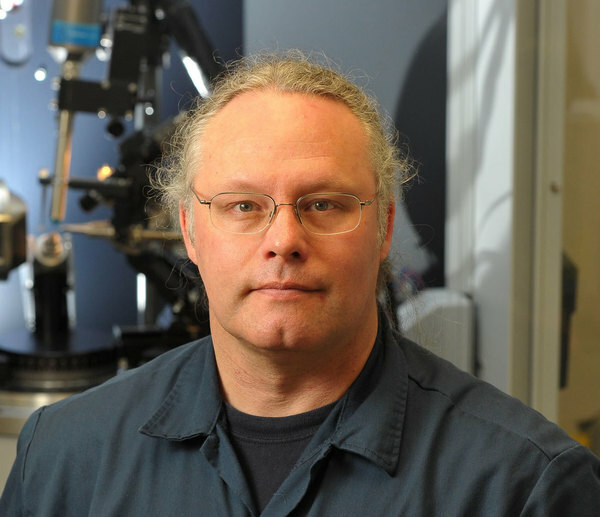 Oliver is busy not just with the Notre Dame Research Core Facility, but also with leading the research project, “Service Crystallography of Advanced Light Source” (SCrALS). SCrALS is being conducted at the Lawrence Berkeley National Laboratory, a U.S. Department of Energy Lab that is managed by the University of California, with research professional Jeanette Krause from the University of Cincinnati. The motivation behind the project is to advance research by providing chemical crystallography synchrotron access for samples considered too small or poorly diffracting to collect data at a traditional laboratory system. SCrALS research uses a machine that has a beam of x-ray light that is 10,000 times brighter than other diffractometers. 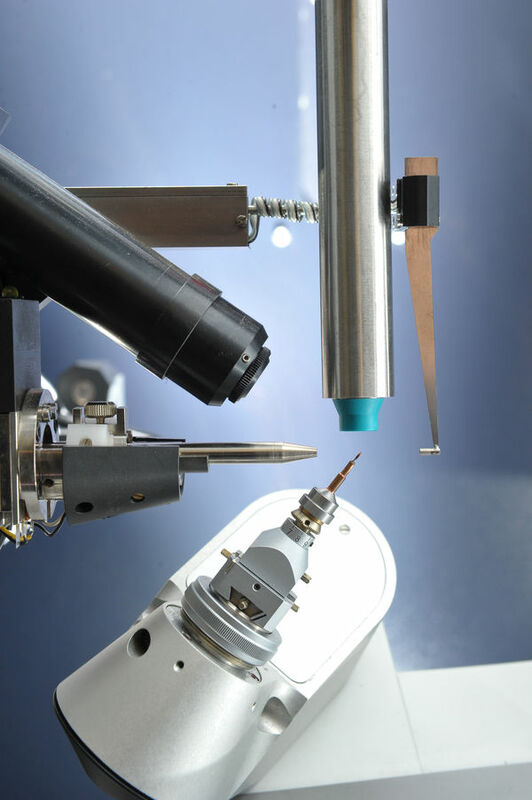 Oliver and Krause to analyze crystal samples that are only 100th of a millimeter or 10 micrometers. The MSF is open to Notre Dame researchers as well as outside institutions and businesses. To learn more about the facility’s capabilities, please visit xray.nd.edu. Originally published by Brandi Klingerman at research.nd.edu on June 21, 2016.